All business entities have their own set of rules and regulations meant to govern the way the business operates, who makes what decisions, and how profits or losses are distributed. For general corporations, these rules are called bylaws. In legal partnerships, the entity functions under what is called a partnership agreement. And when establishing a business as an LLC, it will follow the rules of an operating agreement*. In an LLC, the primary function of the operating agreement is to govern the relationship between the owners of the business. The operating agreement is different from the Articles of Organization. The Articles of Organization are what is filed with the Secretary of State when forming the LLC. When you choose to incorporate your business in the form of an LLC, you are choosing to make it an inherently flexible entity. It will allow you to designate investors as either active or passive in the running of the business, as well as name managers or delegate specific responsibilities. Your operating agreement can spell out how profits and losses are to be shared, and in which proportions agreed upon by the members. If you DO NOT create your own operating agreement, your business will operate under the laws governing incorporation established by your state. This can cause complications because states vary widely in their rules, and it is very unlikely that your state will have regulations that match what you and your partners (the other members of the LLC) have in mind. 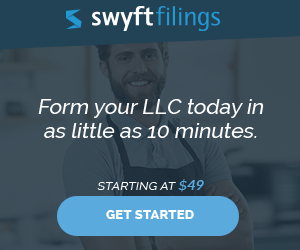 As an LLC owner, you will most likely want to create your own. Link to sample operating agreements. Your LLC’s operating agreement spells out in very precise terms how much ownership each member of the business has. There is not one “right” way of dividing ownership and responsibilities, but rather a variety of ways you could choose to structure your business. However, you don’t have to allocate ownership in proportion to capital contributions. A member may choose to be a passive investor — one who does not have responsibilities for the day-to-day operation of the business — but may contribute the majority of the financial capital needed to get the business started. Another member of that same business may contribute little in financial capital, but may actively manage daily operations. In this situation, the members may consider their contributions to the overall business to be equally valuable and therefore may choose to split the shares of the business equally. Likewise, members may agree that while one has contributed more money to the business, the other does a larger amount of work. In this scenario, they may decide to split shares with 40% going to the former member and 60% to the later. Such freedom to create personalized operating agreements is a great benefit of forming an LLC, and is the reason LLCs are such flexible entities. An LLC operating agreement spells out the terms of ownership, as well as how voting operates within the business. You could create an agreement where every member gets a number of votes equal to the number of shares they own. Conversely, the agreement may grant each member an equal vote, regardless of the number of shares they hold. The terms of your operating agreement will also precisely define how many votes constitutes a majority for making major decisions regarding the business. You will want to spend time refining this portion of your agreement because otherwise, you will have to use your state’s default regulations, which vary among states. For example, in Delaware a simple majority of 51% of the vote is enough to authorize a merger of the business with another entity. In some other states, a two-thirds majority is required approve the same merger. You will want to decide for yourself, based on your personal circumstances, requirement of written consent, what number of votes you would like to constitute a majority decision on issues such as mergers or liquidations. When you are starting your company, it is likely that most of your time will be spent putting your business together, and thinking about its bright future. No one wants to contemplate the potential for unhappy customers, or disagreeable partners. One issue that does need to be addressed at the outset of forming your business is the death or retirement of one of the members of the LLC. Your operating agreement can provide parameters for these eventualities that will be easy for members to follow and will help guarantee avoiding dissolution or the uninterrupted operation of your business. Your operating agreement can provide that remaining members are allowed the first opportunity to buy the leaving member’s shares of the business. Or your operating agreement can protect assets by removing the voting power of shares taken away from a member involuntarily. The topic of succession planning in your LLC operating agreement is an advanced topic that you will want to spell out in depth. You may wish to speak with an attorney to further discuss the way forming an LLC allows for asset protection under these circumstances. Again, an LLC is the most flexible form of incorporation you can choose to define your business entity and specify it’s regulations. Some people believe that if you are forming a single-member LLC there is no need to create an operating agreement. After all, the operating agreement is basically designed to define terms of ownership among members for the purpose of avoiding disputes. Why would a single owner need to make an agreement with themselves? However, for the single owner, an operating agreement can help preserve your business’s limited liability status. If you operate your single-member LLC without an operating agreement, your business starts to resemble a sole proprietorship. If this happens, a judge presiding over a disagreement involving your business could decide that your LLC is not a truly separate entity from your person. In this case, you can be held personally liable in the dispute. This is called “piercing the corporate veil” under the alter ego theory. By having a single-member LLC operating agreement, you will be making your intentions clear that you as an individual and the LLC are two separate entities. If that happens, then a judge could pierce your corporate veil under the alter ego theory, holding that your LLC and you as an individual are actually one and the same. Does Your Operating Agreement Have to Be In Writing? Some people still like to conduct business on their word and a handshake. And there are several states that continue to permit members of an LLC to conduct their business with a non-written operating agreement. for example, a judge hearing a legal dispute between the LLC’s members. Suppose member A and member B form an LLC and agree, verbally, to an operating agreement that favors member A in a certain way. Then, member A and B have a falling out and end up in litigation. It turns out that their state’s default rules are more generous to member B on the issue in dispute. So now member A argues to the court that it should enforce the parties’ verbal operating agreement, while member B will argue that the parties never had any operating agreement whatsoever and always intended to rely on the state’s default rules. It is VERY expensive in terms of legal fees to untangle a dispute of that kind. Do you need an attorney to draft your operating agreement? Find out when your situation requires an attorney, and when you can use a low-cost template or “semi-custom” operating agreement. How to choose an incorporation company. Do I need to include investors in my LLC? I and my partner formed an LLC with two owners and now we just want to have the LLC in just one owner’s name. how can i do it? Want to form an LLC that will invest and trade in stocks and possibly later in the forex markets. No capital accounts based on equal membership interests. Can we do it? Can a member be silenced by other members without reason? I recently published a book and plan to sell it to middle and high schools. Do I need an LLC? 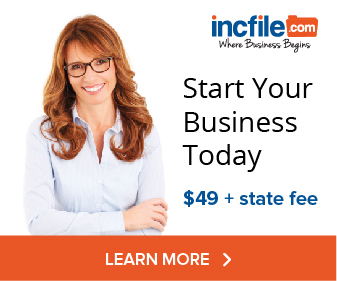 I heard that along with obtaining your EIN for federal you are also supposed to apply for a state filing number. Real Estate LLC. operating agreement?